Craig's practice areas include education, business organization, estate planning, and commercial lease review. 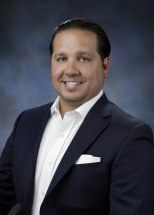 In 2005, Craig began working for a well-respected and well-established local civil litigation firm while completing his undergraduate work at California state University, Fresno where he earned his Bachelor of Art in Political Science. Craig worked full-time during his undergraduate and graduate education and helped raise his two younger brothers. Craig continued working at the same civil litigation firm while earning his Juris Doctorate from San Joaquin College of Law in 2013. Craig's tenure in the legal field has provided hands-on experience and the opportunity to work closely with many of the most respected associates and partners in the community. It is Craig's mission to provide practical and effective legal services in a manner that makes not just business sense but common sense as well. Craig aspired to become a lawyer based on his own life challenges that required aggressive advocacy, self-determination and reliance upon the legal system. Craig is a member of the State Bar of California and Fresno County Bar Association and an alumni of the Fresno Regional Foundation - Next Generation. Craig invests significantly in the community, participating actively in many philanthropic organizations with the goal of making the valley a better place for future generations. Craig enjoys spending time with his wife, Claire Meredith, family, traveling and home improvement.